Orchestra students in grades 7-9 participated in BCMEA All-County Orchestra held this past weekend at Binghamton University. These students were selected after auditioning for the group. 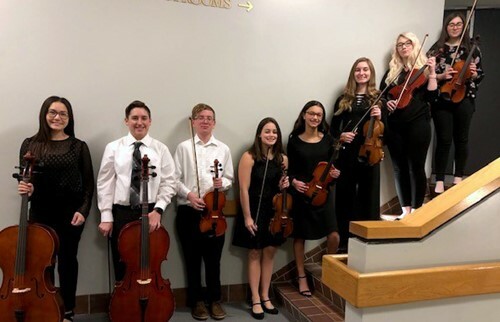 Congratulations to our student musicians who represented U-E: Meadow Kapczynski, Ayden Uhrinec, Austin Dewey, Andrea Palombaro, Amelia Oakley, Molly Clark, Anna Nikulina, Emily Cassin, and Sarah Myers.